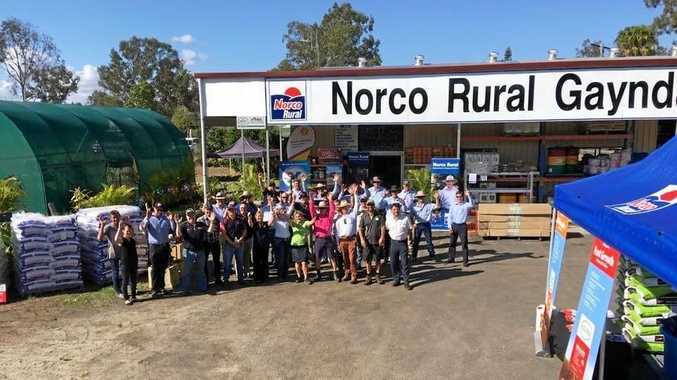 FRIENDLY banter at the bowser inspired a Kingaroy woman to vow she will one day pay forward the kindness she was shown. Crystal Leeding-Starr was filling up her car at Ryke's fuel station when a man pulled up at the same time on Wednesday afternoon, November 7. She chatted with the stranger while they both filled up, discussing the high fuel prices. "I can't fill it up all the way up as it will cost me a fortune," Miss Leeding-Starr said. 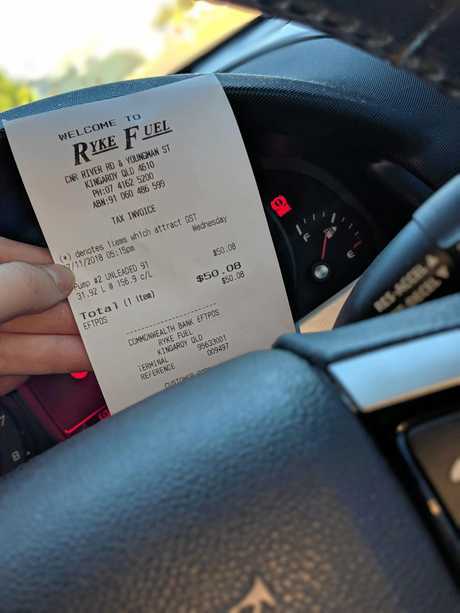 The stranger challenged her to fill up her tank completely, which was already red lining on the fuel gauge, and said if she did he would pay for her fuel. "I was reluctant to do it as you don't know if people are joking with you or not, I put my usual amount that I put in, which was $50," she said. "And out of the blue, he actually paid for it. "It was definitely my first act of random kindness that's been given to me, it's really nice to see that it still exists," she said. Miss Leeding-Starr had gone inside to grab a drink before she paid for the fuel and the man had reached the cashier first. On his way out the stranger handed her the receipt for her paid fuel and had one request. "He said, 'Don't feel bad, just pay it forward'," she said. "I didn't even get to ask his name, it was the most wonderful surprise." Miss Leeding-Starr plans to wait for the right opportunity to surprise someone else with a random act of kindness. 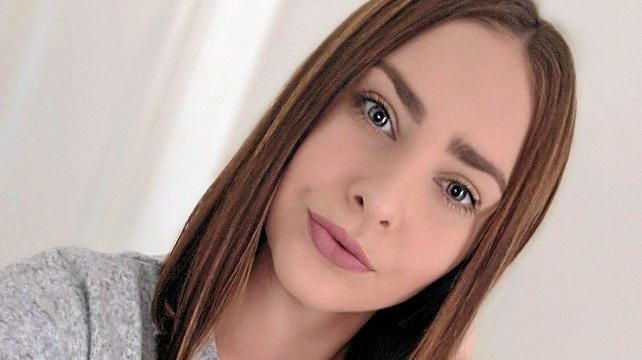 "It is so lovely to see kind people around and I will still pay it forward to hopefully make someone else's day like he made mine," she said. "It just helps them out in a small way, it even makes their day, obviously I'd hope they'd continue on and brighten up someone's day a bit more." Miss Leeding-Starr shared the act of kindness in the Facebook group, South Burnett Chat and Community Info, and was surprised at the response it received. "I just thought it was so great that everybody else appreciated it in a way," she said. At the time of publishing this story the post had received more than 330 likes. Miss Leeding-Starr is not alone in finding Kingaroy fuel prices unaffordable, with RACQ saying South Burnett prices are too high. According to RACQ's Fair Fuel Prices, a fair fuel price in Kingaroy on Friday, November 9, was 145.5cpl for unleaded. Compared to fuel prices throughout the state, this is an "unfair" price, RACQ says.